Mickey Wilson ’11, MS ’12 performs at a Gibbon Slacklines event in Richmond, Virginia. Wilson is known to be one of the best in the world for highline tricklining. For Mickey Wilson ’11, MS ’12, it’s just another day at the office. of webbing suspended a dizzying 460 feet above the blinking Las Vegas Strip. Guests at the nearby Mandalay Bay casino look up nervously as he moves toward the center, riding the line surfer-style and wildly rocking it back and forth. He briefly hops on one foot, then gracefully (and purposely) slips off, tumbling ground-ward. The audience gasps. His safety rope catches him. He climbs back up, grin spreading across his face. And he begins again, joining three other professional slackliners hired to put on tonight’s hair-raising show. What does any of this have to do with engineering? Let Wilson count the ways. Surprisingly, Wilson’s career choice isn’t as rare as you’d think. 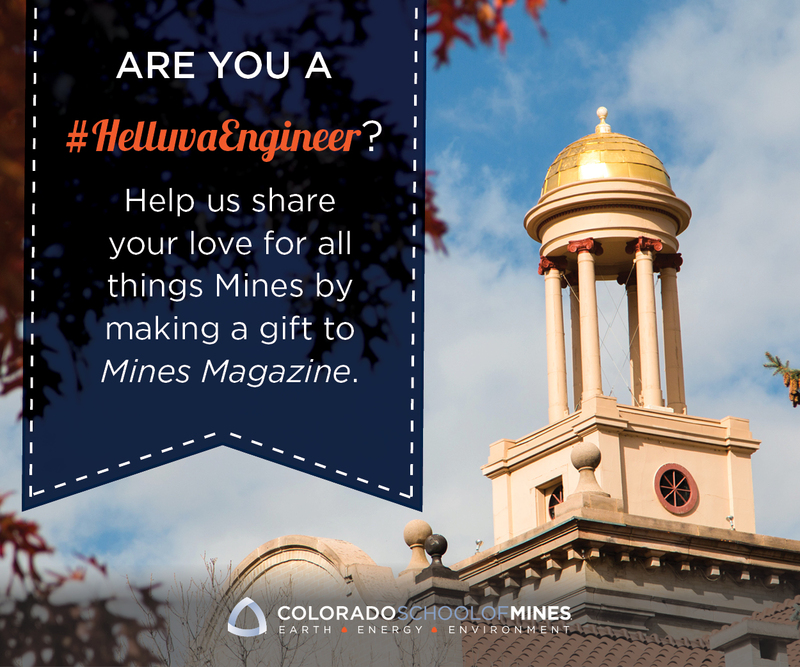 From Alan Stevens ’12, an environmental engineering graduate turned professional musher; to Maureen Sweet ’15, a chemical engineering graduate turned professional half-pipe snowboarder; to Derek Parks ’05, MS ’10, a computer scientist who moonlights as a wingsuit skydiving instructor, stories abound of Mines alumni using their engineering backgrounds to excel (even make a living) at extreme sports. Some of these athletes say their appetite for adrenaline, and the epic kayaking, climbing and mountaineering around Golden, were some of the things that lured them to Mines. Others say they gravitated toward their grueling, exceedingly risky pastimes as a mind-clearing distraction from the school’s academic rigors. And many say the scientist’s mindset is a perfect fit for sports in which calm, analytical problem-solving in tense times can mean the difference between life and death. Alan Stevens ’12 approaches the finish line in Nome, Alaska, as he completes the 2015 Iditarod trail sled dog race. Alan Stevens knew little about Alaska and less about sled dogs when, after graduating, he spotted a job advertisement for “a poop scooper for 300 dogs.” He worked at a tourist dog-sledding camp, accessible only by helicopter, on Alaska’s Mendenhall Glacier. He assumed that by fall, he’d come home and get a “real” job. “I thought of it as a big summer adventure,” he says. But during his time on the glacier, he became enamored with the athleticism of the huskies and the ancient form of transportation they provided to some of the world’s wildest places. By summer’s end, he set his sights on the frigid 1,000-mile Iditarod sled-dog race from Anchorage to Nome. He reached out to four-time champion Martin Buser for mentorship, began to amass a team of huskies and spent three cold and dark years training. He used his engineering skills every step of the way, he says, from building himself a 31-pound carbon fiber sled to designing tiny strain gauges (wired into each dog’s harness) to measure in real-time how much weight each was pulling. When it came time to packing and arranging for the drop-shipping of 2,700 pounds of supplies (mostly dog food) along the Iditarod Trail in March 2015, his eye for efficiency came in handy. His time management skills also helped, as he cared for 16 dogs, stopping for six-hour breaks to methodically examine each of their 64 feet, rub every shoulder, check every harness, melt snow and prep a warm stew for them and try to find time to feed and dry himself before packing up to go again. “When I was facing extreme diversity, I’d just stop, take a few minutes to think about what resources I had available to me and problem solve. I learned that at Mines,” says Stevens. After 12 days, 8 hours, 43 minutes and 2 seconds, Stevens crossed the finish line, becoming only the 745th person ever to do so. By comparison, roughly 4,000 have summited Mount Everest. Now he’s back in money-making mode, offering tourist dog-sledding excursions to save up for his next race. Chris Fehn ’12 BASE jumps into the New River Gorge in Fayetteville, West Virginia. moonlights as an instructor with Longmont-based Mile High Sky Diving. That decision years ago led to a 300-jump-per-year habit, which in 2010 evolved into a new, even more esoteric hobby: competitive wingsuit flying. He also has, as he puts it, “geeked out” using his engineering skills to excel at his sport (which was only recently recognized by skydiving governing bodies as a legitimate discipline). He uses a GPS logger on his helmet to assess his precise location and glide ratio as he travels at 100-plus miles per hour. Then he plots that data on a graph, assessing it to improve his precision on future flights. With a 300-jump-per-year habit, Derek Parks ’05, MS ’10 had no problem donning his nylon wingsuit for a jump over Skydive Chicago this past August. The mostly underground sport stands for Building, Antenna, Span and Earth—the four objects from which participants jump. Like skydiving, it requires a literal leap of faith, followed by a strategically timed parachute pull. But because Fehn jumps from 250 to 2,000 feet—rather than 13,500—there’s far less room for error. For recent graduates Maureen Sweet and Mickey Wilson, the thrill of extreme competition has been reward enough to forgo a lucrative job in their respective fields, at least for a few years. Now a professional halfpipe competitor, she says her mathematical mind is hard at work as she enters the pipe, plotting the angle she’ll have to move her body and the level of pressure she’ll have to put on the board to catch air. But as she soars above the 22-foot walls, doing tricks, her mind goes blank. “I’m not focused on anything up there. It’s complete silence.” She’s now living in Aspen, Colorado, training to ride professionally with the 2017 U.S. Revolution Tour. Ultimately, she plans to go back to school for a nursing degree. And for Wilson? The future is wonderfully uncertain. In October 2015, just before Red Bull Airlines’ competition, Mickey Wilson ’11, MS ’12 was granted permission to stretch a slackline across one of Mount Etna’s craters in Catania, Sicily. He had to deal with winds gusting as high as 100 mph, sharp volcanic rock and little information about the site ahead of time, putting his engineering skills to the test. Sitting in his kitchen in Golden, Colorado, surrounded by trophies from the Red Bull slacklining competitions he has won, he marvels at the fact that he’s able to make a living (albeit modest) doing the very thing his classmates gave him grief for back in school. Now he’s a sponsored athlete, flying around Europe, the United Arab Emirates and South America to compete and put on shows for event companies. “I spent a lot of my youth working really hard on academics,” he says, remembering the day post-graduation when he decided to stop looking for a “real job.” “I still wanted to save the world with solar energy, but I figured my 20s should be for athletics and my 30s could be more for serious stuff,” says Wilson.